He started his career as a dj in 2005. As he was bitten by the music bug, a passionate fan of the dj profession and ambitious, he visited the Mecca of house music, Ibiza. Once back in Belgium he decided to bring Ibiza a little closer to Belgium and launched the SHOMI house-concept in Stereo Sushi (Antwerp) and they are still going strong for 4 years now. Combining only the best in house music with a unique atmosphere that many tried to copy but never succeeded. Dj Licious also started to promote the popular Defected in the house party’s& in Belgium. The first editions in Antwerp were a major national succes and there is more to come so stay tuned on this! Alongside promoting Dj Licious has already been on many posters as a resident or headliner throughout Belgium and abroad. Tomorrowland, Laundry Day, Privilege Ibiza, Versuz, Summerfestival, City Parade, Pacha World tour and NOXX are just a few references to mention. 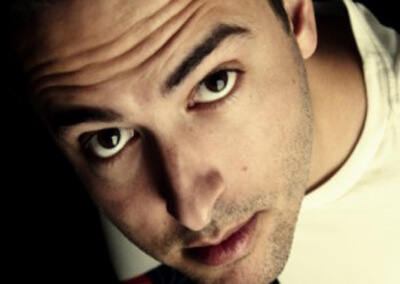 He is known for his unique mix of House music with all kinds of other musical flavours. He does it all with just one mission: make you sweat ! Radio FG, the reputed French DJ-radio was recently launched in Belgium and asked Dj Licious to broadcast a mix on their radio each week in France & Belgium. Programming & frequency: www.radiofg.be. The permanent residents on Radio FG are Roger Sanchez, Bob Sinclar, David Guetta, Carl Cox, Alex Gaudino and Martin Solveig to name a few. Promoting and mixing music are one thing, but what about producing? 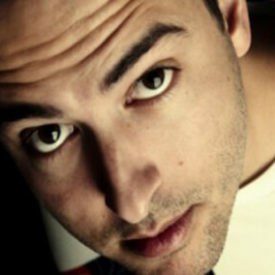 In 2010 Dj Licious started to produce his own tracks and several of his songs already reached the charts on many platforms. You can find his music on dozens of Compilation cd’s, being played by the top Dj’s on national & international radio and remixing several famous artists… So no need to tell you that this guy is gradually conquering Belgium and abroad… all for the love of house.